RTOS integration, FreeRTOS is a core component. 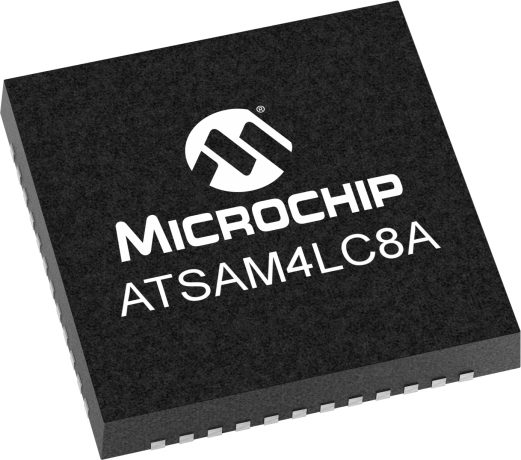 A member of the Microchip's SAM4L family of flash microcontrollers based on the ARM® Cortex®-M4 processor, the ATSAM4LC8A delivers the lowest power in active mode (90uA/MHz) as well as sleep mode (1.5uA) and the shortest wake-up time (down to 1.5us) in a Cortex-M4-based device. Along with 512KB of embedded flash memory, the device features an LCD controller, hardware cryptography, USB host and device, peripheral event system, SleepWalking intelligent peripherals, and built-in security, including 128-bit Advanced Encryption Standard (AES). Integrated Microchip QTouch technology makes it easy to bring capacitive touch functionality to your hardware.